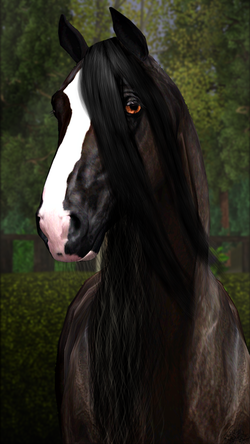 Emma got this beautiful stallion as a graduation gift, because of her very good grades. He is imported from Spain, where we saw him some months before Emma got him. I didn't feel like he would fit in at PSH but Emma fell madly in love with him, he was stabled at some friends, so he had time to adjust to his new surroundings before Emma got him. As it turns out the change have turned him into another horse. He can still be a little tense at times, but he is not the same horse we saw in Spain back then.